Inside: Eight exciting fine motor activities for toddlers boost your toddler’s fine motor development and motor skills. 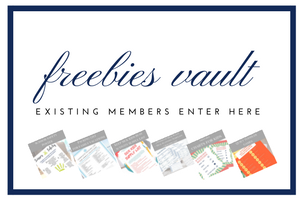 We created engaging activities using items you likely already have. My son was born prematurely at just shy of 35 weeks. While he did not have any major health complications, he is a little behind in some of his motor skills. As any mom who wants to help their child grow, I started looking for some ways to help him develop and improve these skills. Check out these fun ways to help your toddler boost their fine motor skills. Fine motor skills revolve around the use of the hands. Mastering fine motor skills allow your child to perform smaller physical tasks independently like washing their hands, zipping their coat, or tying their shoes. Fine motor skills also involve the ability to master hand-eye coordination. Learn more about fine motor skills from the U.S. National Library of Medicine. There are hundreds of ways you can work with your toddler on their fine motor skills. We’ve come up with engaging activities using items you likely already have. A low-cost activity will also mean that you’re not spending extra money on equipment that might not be useful later on. A great way to work on fine motor skills and hand-eye coordination is to have your toddler build towers with blocks. Have them build a tower as high as they possibly can. You can start with larger blocks that are easier to hold and place. Then graduate to smaller blocks that are harder to grip and place. Try to see if your toddler can stack 10 in a row. After this, the best part can happen – knocking the tower over! You can also race your toddler to see who can build the highest tower in a certain amount of time. Play dough is a fun way to provide a sensory experience while also building fine motor skills. You can make your own – there are many recipes online. You can also buy some at any toy store. Have your toddler knead the dough and roll it up into balls. You can have them use little cookie cutters to make shapes. You can also allow them to use their imagination to build their own creation. Play dough is great for helping your child think more creatively and outside the box. Toddlers enjoy putting on big necklaces and walking around with them. This gives them the opportunity to create their own fun necklace. Get some string and dry pasta, macaroni, beads or Cheerios. Have them string the items together to create a necklace. The pasta or beads will be the easiest to do, while the Cheerios will need more mastery of fine motor skills. You can have your child work their way up as they get better at it. Another thing toddlers love to do is go throughout the house and dump out every basket or container they can find – let them! Have them fill the containers again by picking up each item and placing it in the basket. Allow them to keep dumping and filling. This activity not only helps them work on their fine motor skills but also helps them work on focusing on a task. You may let your toddler feed himself mostly by hand. Even if they don’t fully understand the concept of forks and spoons, allow them to explore their food with utensils. This will greatly improve their fine motor skills and get them to use their hand-eye coordination by bringing the utensils to their mouths. It also helps teach them a skill they will use throughout the rest of their lives. Most young children love to sing and dance. Sing songs like “The Itsy Bitsy Spider” or “The Wheels on the Bus” with them, so they can do hand motions. They will have to coordinate their hand motions with the song which will help them work on their fine motor skills and focus. Have your children work on sticking items together – it can be done in a variety of ways. You can have them stick items to a felt board to create words or pictures. They could also place stickers on pictures or make pictures out of stickers. Another way they can stick items together is to use a glue stick. All of these activities involve fine motor skills and are also a great way to get your child to use their imagination and creativity. Sensory activities allow your child to explore different items and textures with their hands. This builds their understanding of the world around them and allows them to explore different elements. It also helps build their fine motor skills, as it requires working with their hands. Check out our cheap sensory activities for ideas. 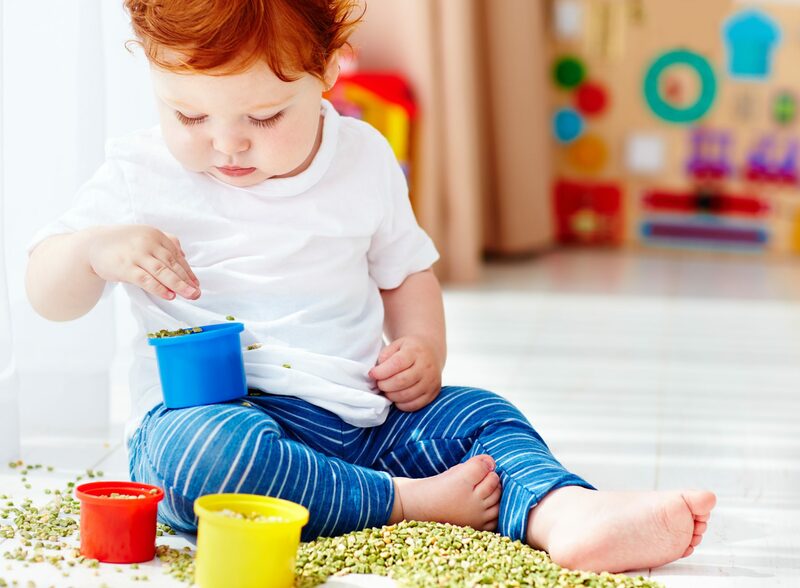 Most fine motor skill activities can be done simply by having your child work on day-to-day activities like getting dressed or feeding themselves. 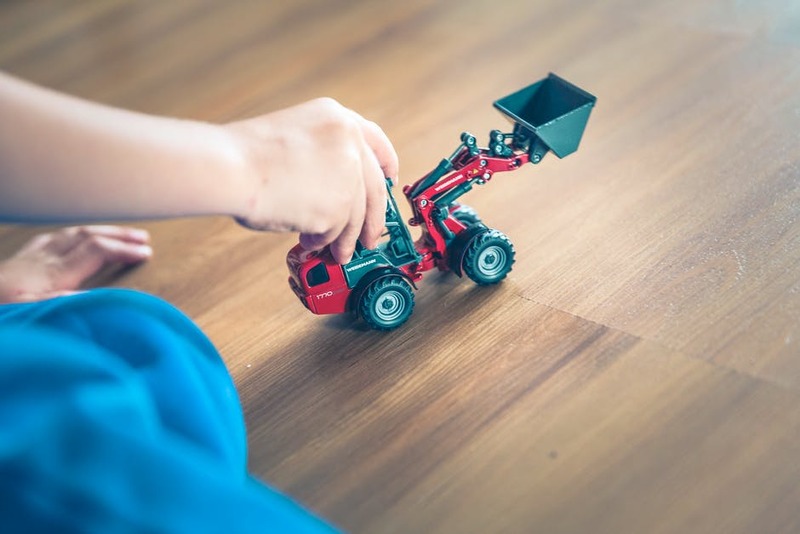 It’s also fun to incorporate play into your child’s development though, so enjoy using these activities as your child explores with their fine motor skills. Want more ideas? Check out these fine motor skill activities from education.com. This piece was written by Jenn. She is a blogger for Mommy Stroller, which focuses on helping parents figure out which baby gears they should get. The blog was started by Evelyn and her husband, Paul, who both decided to blog about baby gear after the overwhelming feeling they experienced when trying to pick out their first stroller. P.S. If you enjoyed this piece, you may also like 5 Preschool Activities for Exploring Bubble Foam That Will Make You Go “Wow”.